Did Betty manage to take the farm down? 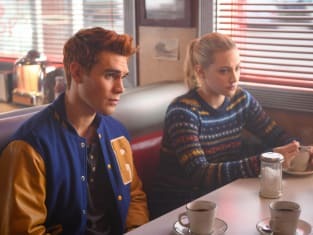 On Riverdale Season 3 Episode 14, the teenager learned that the elusive cult had set their sights on someone in her inner circle. Meanwhile, Hiram and Gladys turned up the heat on Veronica, and the teenager set out to prove she is a force to be reckoned with. Did she manage to turn the tables on them? Elsewhere, Archie grew worried about a young runaway at the gym. Finally, Jughead realized he needed to make a big power move in order to regain control of the Serpents.